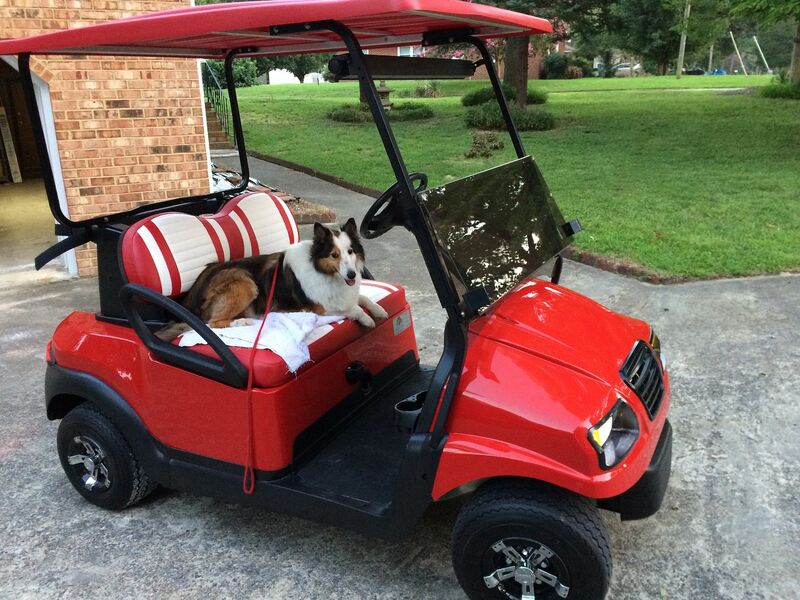 Home > Uncategorized	> Teddy’s “Evening Constitutional”! What a good dog mommy you are! Yay for Rosie and Teddy! And Teddy even has a matching red leash! It sounds like there are many lovely spots nearby, and I’m glad Teddy still gets to enjoy them with you. That is so cute. Teddy thinks she is going to play a round of golf. My name is Michael Roberts, and I’m a reporter with Westword newspaper in Denver. Good morning. I’m interested in speaking with you to find out if there are existing Sears Modern Homes in the greater Denver area and to learn more about the subject. My Beautiful Daughter Singing a Beautiful Song Penniman: A Fun and Fascinating Talk in Richmond on July 18th!